You’ve probably heard about high-ticket programs or offerings. I call these high-end offerings “premium packages.” And I feel they are the best solution for your undercharging and under-earning. Here’s why: premium packages are all about helping your clients get premium results. 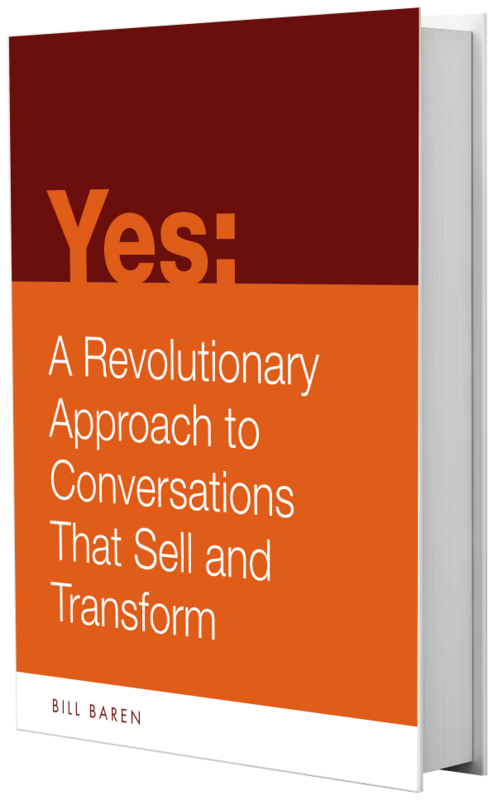 It’s about providing your clients with big results and a deep level of transformation. And for that, your clients are willing to pay a premium. It starts with designing and offering packages in the $2,000 to $10,000 range, or even more. However, it’s not just about raising your prices. It’s about creating packages that deliver a deep level of transformation for your client. Not just a band-aid, but the big result they really wanted when they came to you. And for you, offering premium packages helps you get out of the trading time for dollars model. I did not have premium packages when I first started out. In the early days, I was so excited to get a client–any client. And I learned my lesson. I remember one of my first clients… she was a spiritual teacher. The only way she agreed to work with me was if we had our sessions in the ungodly hour of 6 a.m. on Monday mornings of all days. This is the worst possible time to work with someone for me, but I wanted a client – I was desperate. – so I didn’t even blink before agreeing. At this point, you’re probably thinking that this was some kind of high-end premium client. Not only were we working at 6 a.m., she was one of the most difficult clients I have ever had. On top of that, she was also one of the least committed clients ever – missing sessions, not doing what she said she would do. And that $20 per hour wasn’t even making a tiny dent in my monthly expenses. I learned many lessons from this horrendous experience that helped make sure I would never take on a $20-an-hour client again. I’d like to share a few with you today. Here’s the first big thing you need to know if you want to go premium in your business. EVERY industry has room for a premium level of service. Think about the services you use on a regular basis – almost every one of them has a premium level. You can fly coach or you can fly premium first or business class on an airline. You can find a premium fitness country club with fees that are 10 and sometimes 50 times what you would pay at 24 hour fitness. You can buy a car for $15,000 or you can buy a Tesla for 5 to 7 times that amount. You can go to a Laundromat and put quarters in and get your laundry done under $10 or you can send away for a premium service for a $100. Premium is literally everywhere – the other day I was buying tickets to see Jerry Seinfeld and I saw premium tickets, that included meeting him backstage for 20 times the ticket I bought. And, here’s an important key to remember: 10-20% of the people in your audience want the best, not the average, that you can provide. So, if you haven’t gone premium, there is a very good chance that you are not serving people who want a premium service right now. There is a HUGE opportunity for you in providing that level of service for people who want to sit in the front of the plane and in the most comfortable seat possible, in your area of expertise. That also means about 80-90% of your audience won’t want premium products. Essentially, there are going to be some people who want your premium services, and there are going to be a ton of people who don’t. And the beauty of it is, when you charge premium fees, you do not need tons of clients to create an awesome business. So it doesn’t matter what your business is, you have a tremendous opportunity in offering premium packages with a premium level of service that serves people more deeply and appeals to the best clients in your niche. Let me give you an example from a client. When my client Ritamarie came to me, she was already an incredibly knowledgeable health expert, but she was still charging $75 per session and often had 2-hour sessions with her clients. She was massively undercharging and under-earning. At that point in her business, you could actually call Ritamarie and book a $75 session. What is the problem with that? For Ritamarie, it was difficult to grow her business, even though she was incredible at what she does. It takes a lot of marketing–and even more selling–to continue to find clients at $75 per session. And she found it frustrating working with these non-committed clients, who wanted quick fixes and not full-blown health makeovers. And this wasn’t good for her clients, either – because they weren’t fully committed to their health, their results weren’t as great as they could be. After we worked together, we changed how she positioned herself, and how much she charged. Instead of just calling herself a health expert, she narrowed down the types of clients she focused on. She started working with clients for longer periods of time. She started requiring 6 month commitments. And you better believe because her clients working with her now are putting more skin in the game, they are super committed and are having miraculous transformations with their health. Now, Ritamarie is nearing a million-dollar business, her premium packages range from $10,000 to $30,000, and she still has a waiting list. And she is now considered one of the top practitioners in her field. In fact, she is now training other practitioners in her system. Can you see how switching from a dollars per hour consultative model to charging for a very specific outcome not only allows you to charge more, but it also benefits the client? Ritamarie is not only making more now, she’s helping her clients have health breakthroughs they could never have only seeing her on an ad-hoc basis. I know that in order for me to be of ultimate service to people, I need to be their coach or mentor for a period of time that allows me to truly bring everything I have to offer to that client. We all know that to create real, meaningful change or produce truly desirable results in a business, in someone’s health, in someone’s love life, or in their personal growth, or really in any important area – it takes time because the day you plant the seed is not the day you pick the fruit. It makes sense that if you want to fundamentally shift someone’s relationship, or if you want to help someone find their soul mate, or if you want to help someone create total financial freedom or if you want to help businesses have incredible productive teams or if you want to help someone find their true purpose – all these things take time. And most clients understand that there is no magic pill for any of these important desires that people have. When she explains what she does to clients, they get it. It actually gives her more credibility. Because if she said, “oh, we will just change this in a weekend,” it wouldn’t seem as believable. And for most practitioners, it wouldn’t be authentic or true either. When you take a stand for your clients and are totally honest about how much time and how much effort it will truly take for them to see the results they want, they will appreciate your honesty and your expertise, and will be that much more attracted to your premium offering. It will naturally be attractive to the best and most committed clients. Wouldn’t you find it a little scary to be quadrupling your prices right now today? How do I quadruple the value of what I am offering? How do I increase the desirability of my packages? And when you are able to do that, quadrupling your prices is easy. And, having clients say, “Yes, that is exactly what I want” is even easier. You can have the financial freedom and safety you want. You can be working with the best clients in the world. You can be confident, proud and fulfilled with the work you are doing. You can be making the kind of impact you are actually here to make. And you can have an awesome life doing what you love. You get to do less, make more money and have a lot deeper impact. And premium packages can pave the way to you creating your dream business where you’re making a massive impact, and generating an abundant income. What is one piece of information you can implement now from this article? Let me know in the comments below! I watched the video on this last night along with another (you were standing in a kitchen setting in the second one) and cannot find either one. I want to watch them again and email them to some friends. I’ve heard other speak about similar things but you are definitely different! I also saw your March event was sold out. Do you know when the next Big Shift event will be? Thank you so much for all your hard work and expertise I am extremely excited to begin implementing this! 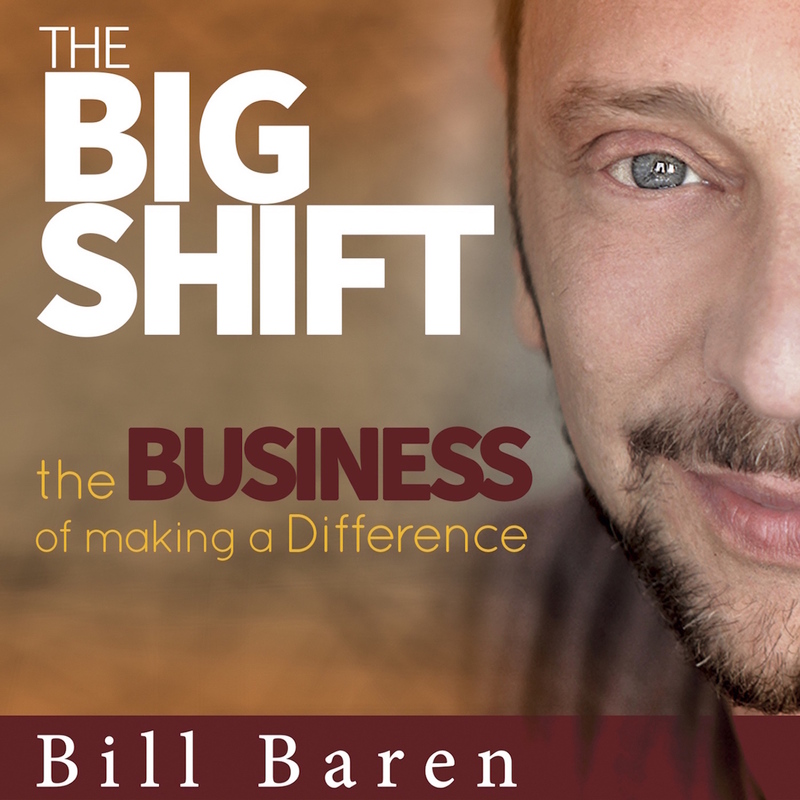 I am having my team contact you to see how we can help you register for the Big Shift experience and also see if these videos are still available. and I am so excited; Y have just finished listening your webinar about how to create Premium Package Success System. I just have started with Dream Building Coach program – it takes six months but my next step will be taking a marketing mentor: youuuuu. Till then I am going to improve my english and I really, really hope, I will cope with your program (language issue). I really, really want to succssed. Kind Regards. Do you believe this could work for my guitar teaching business? Absolutely. I have seen this work for all kinds of music teachers (and tutors of all kinds, too). Just want to say thanks for creating YOUR premium package. It has transformed my life and my work. Now, instead of scraping by to get one or two low paying clients, my roster is nearly full of premium clients. I’m calling my clients up to own their value and to invest in themselves accordingly. Sometimes just saying YES to my premium package is the biggest breakthrough they need to see how much they’ve been settling. So, when I stopped settling for low-paying clients, my clients stopped settling for unsatisifying relationships. This would never have happened had I not said YES to investing in your program. It all works together. Thank you, Fawn! Love who you are and what you’re all about. And yes, keep rockin’ those premium packages. YES! People pay premium for premium result. What’s yours? Thank you so much for the wonderful information. My concern is that I feel I am not yet giving clients enough of a big result. I took one client from 0$ to 2000$ in 4 sessions, I helped someone get clear about their passion in 2 sessions. The problem is no one bought further sessions with me. I find that these is not bad but I am not sure it is big enough to do premium packages. Don’t people expect to make millions or something like it in order to pay 1000$ a month or more? What is your experience with this? Your example is the reason why I don’t think anyone should offer their services on a per session basis. And not people don’t expect millions paying $1000 per month. My new client who is paying me $50k for six months isn’t expecting millions. She is expecting her vision to come alive. She expecting I can help her craft her message that has the potential reach millions. She is expecting me to notice what she isn’t. She is expecting to double or triple her investment in my services. Hi Bill– By taking your Premium Packages Success System training, I’m finding a new well of creativity emerging in the way I’m organizing and putting out what I offer. Last year I wrote a book, Success with Soul– Loving Your Livelihood, Living in Balance, which really expressed what opens in my clients’ lives with my career transitions & life-balance coaching. With PPSS, I now see how easy it is to transfer the elements of my book into a program with much higher value expressed right up front with much higher financial gain for me. Mnay thanks! This makes complete sense. By not providing premium services and asking for the commitment you are not only shortchanging your client you are shortchanging yourself. Because along with the client transforming so does the coach. Great post – thank you! This was very timely for me – thanks for sharing your perspective. Can you give a few examples of how a relationship or life coach/spiritual advisor/healer would position themselves differently and not call themselves the common “coach”? It’s part one of a complimentary 3 part series that will help you understand more about how you can position yourself and premium packages. It will specifically offer some case studies and examples of different clients I’ve worked with and how they’ve positioned themselves differently. Very good article. I am always telling my clients this but don’t do it myself. My right value will attract the right client. You say that we need to get away from the hourly/session mindset – but when you sell your premium programs do you not agree at the start how often you will meet over the time you work with them? Yes, but that’s not the focus of the offering – it’s simply the delivery mechanism. Hi Bill, I enjoyed reading your article, and it came at a timely fashion. I have been wondering how I can quadruple my value, thereby feeling confident about having a premium program for clients to select. Thank you for your encouraging words. I feel eager to get going on this. I reposted this since I wanted to check off the box so I will be notified of any comments – which I didn’t do above. I have seen many people “afraid” of offering premium packages because they are afraid of asking for the money or worried about not able to serve as many people. What are your suggestions to help overcome these mental/mindset hurdles? I have just recorded a video on this subject. Stay tuned for that! This is great! This is the kind of mindset shift that needs to happen for me. Offering a premium package to my clients – that’ll be my next step! Awesome… I am creating a free training to help you do that. Great artice, Bill. Thank you!